Headlines from major British newspapers the day after the ZETA press conference. On January 24, 1958, the press were given a tour of Britain’s Project ZETA to announce its results towards achieving man-made nuclear fusion. ZETA stood for Zero Energy Thermonuclear Assembly. This experimental device was one of the largest attempts to generate energy from fusion. The idea was to heat deuterium gas until it was a plasma and confine that plasma within a magnetic field ring. As the temperature of the plasma increases, it’s total energy increases and the containing magnetic field had to increase to pinch the plasma down to a tighter ring. Eventually, the plasma temperature and density would reach a critical point where the deuterium nuclei are forced into each other and they fuse to form helium, just like on the Sun. Deuterium fuel could be harvested from seawater in nearly unlimited supply and fusion generators could supply all the energy we could need forever. To determine if fusion was achieved, scientists looked for the neutrons. Project ZETA began operations in August 1957 and it was quickly evident ZETA was better at producing plasma than anyone had managed before. They pumped enough energy into the system to reach temperatures around five million °C and detected an increase of neutrons over what was expected from the heating process. Indications were good the device had achieved a short-lived fusion reaction. The scientists wrote up their results in a paper due to be published on January 25, 1958. The paper’s publication was leaked to the press and achieving fusion would be big news. Pressure for more information led to the press gathering at ZETA’s location on January 24. John Cockcroft, who won the 1951 Nobel Prize in Physics for the first artificial splitting of an atom, was on hand to explain the results. He gave a detailed explanation of the workings of ZETA, magnetic fields, neutrons, and fusion that basically confused the gathered reporters. When pressed with the question of whether or not they had achieved fusion, he replied they were 90% sure they had. A 90% certainty from a Nobel Prize winner was as good as certain fact. 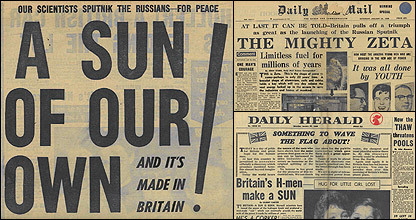 The next day, the papers were full of stories of Britain’s new Sun and more important than the Soviet Sputnik. Dreams of limitless power from seawater were within reach. When the United States and the Soviet Union seemed to be taking the lead in new advances, British scientists just proved they were still on the forefront of science. On the science side of the discussion, people felt the temperatures weren’t high enough to cause fusion and the neutrons came from some other source. 90% sure means 10% not sure. Further investigation showed the neutrons most likely came from the operation of the machinery itself during the heating process. The ZETA scientists published their new results in a retraction of the original paper in May. This caused embarrassment for all the scientists involved and British pride. Plans in place for a bigger, better ZETA II were eventually canceled in 1960. The original ZETA device remained in operation for another decade as a research platform, but never achieved its original goal. 1990 – Japan launches Hiten spacecraft. Japan launches their first lunar probe named Hiten. It was the first lunar probe launched by a country other than the United States or the Soviet Union. The small satellite entered a highly elliptical orbit around Earth that took it past the Moon. On its first flyby, it ejected a smaller probe called Hagoromo into lunar orbit. Hiten was then used to demonstrate the practice of aerobraking where using the resistance of the upper atmosphere to slow a spacecraft and change its orbit. Hiten was the first spacecraft to use this technique. 1986 – Voyager 2 passes the planet Uranus. The Voyager 2 spacecraft makes its closest approach (81.593 km) to the planet Uranus. 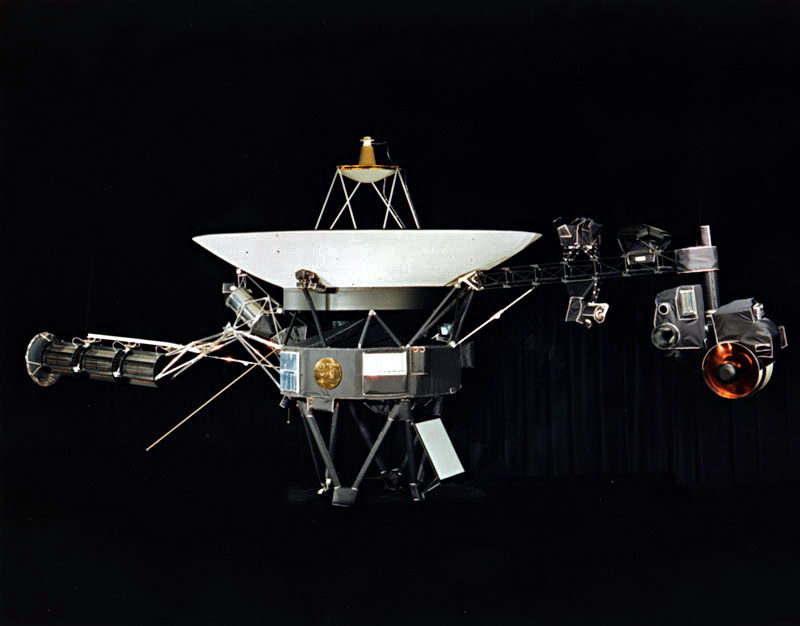 Voyager 2’s voyage through our solar system was planned to visit four planets on its way out of our Solar System. It successfully visited Jupiter, Saturn, Uranus, and Neptune and is currently still in contact with the Deep Space radio network and is expected to leave our solar system around 2020. 1978 – Kosmos 954 reenters Earth atmosphere. The Soviet reconnaissance satellite with an onboard nuclear reactor reentered the atmosphere and broke up over northern Canada. Unfortunately, the reactor ejection system malfunctioned and the nuclear material reentered with the satellite. The radioactive debris prompted an extensive cleanup effort called Operation Morning Light. The effort covered 124,000 square kilometers but only reacquired 12 pieces of the satellite. Ten of these pieces were radioactive and one had enough radioactivity to kill after only a few hours of exposure. They were only able to account for 1% of the total material. 1958 – Project ZETA announcement. A total solar eclipse was filmed for the first time. The US Navy shot the motion picture from the US Naval dirigible, U.S.S. Los Angeles off the coast of Long Island, NY. Watch their movie below! 1868 – John Davy died. John Davy was an English chemist and doctor who was the first to produce phosgene gas. Phosgene is a compound with formula COCl2. It’s useful as a reagent in synthesis reactions of many pharmaceutical molecules, but it is most famous for its use as a chemical weapon. Davy created the compound by mixing carbon dioxide and chlorine and exposing the mixture to sunlight. Since light was needed to create the compound, he named it phosgene from phos (light) and gene (birth). 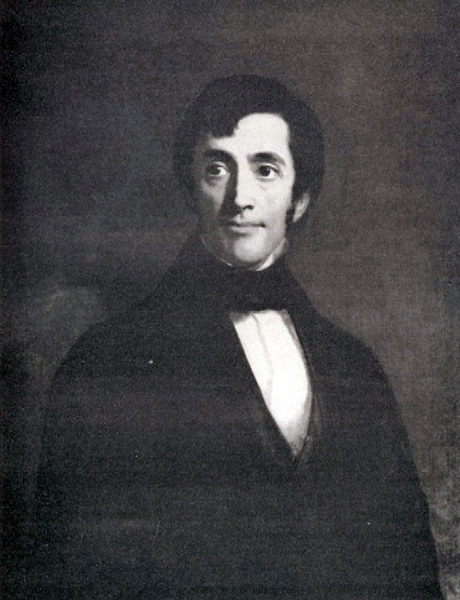 John Davy was the brother of the famous Humphrey Davy who isolated and discovered several elements. 1839 – Darwin joins the Royal Society. Charles Darwin is elected as a member of the Royal Society for his contributions to science including the publication of The Origin of the Species outlining his theories of natural selection and evolution.